What is the Neighborhood House? It is a gathering place where all are welcome. We serve as the base for nu﻿﻿merous daytime activities, geared mainly toward older community residents in Tarrytown, Sleepy Hollow and ALL surrounding communities. We also function as a meeting place for local community groups such as the monthly senior computer club, and SAT Prep Classes. The lower level houses the Independent Living program, a grant-driven initiative that teaches living skills to students and their families who are part of Sleepy Hollow High School Special needs Department. Neighborhood House is located at the corner of Washington and Wildey Streets in Tarrytown. It is run by a volunteer board, assisted by a program coordinator Tuesday - Friday from 10a.m. to 4p.m. Hand paint a natural birdhouse to attract a nesting bird this spring! ​ and messy decorative paper technique! Cut, paste and create! Make one-of-a-kind work or custom holiday cards! Grandparents - bring your grandchild! We are happy to announce that the Neighborhood House is now hosting the Greenburgh Nutrition Program from 9:00am-noon. A nutritious, hot lunch is served Monday - Friday for a suggested donation of $3.00. ALL seniors are welcome to participate, regardless of income or where you live. Lunch must be ordered, in the morning, the day before. Please call (914) 330-3855 to request your hot lunch. The Neighborhood House of Tarrytown and Sleepy Hollow is committed to offering quality senior programs to the community it serves. 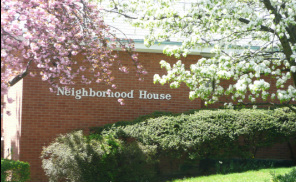 Established in 1912, Neighborhood House provides a welcoming social setting for senior programs and activities. We seek to encourage meaningful social interactions and connections across ethnic, intergenerational, and economic lines. The Neighborhood House also offers meeting space for groups whose purposes enrich the community. Sponsors for Programs/Financial Support - we have a great need for more financial support and/or sponsors so that we can expand program offerings for our seniors and assist in purchase of overhead items such as materials and services. Office Supplies in good working order (including working pc's). YOU - if you have expertise in a certain area that you would like to teach such as writing, crafts or other programs, please contact us to discuss your idea. To offer support, please call us at (914) 631-0205 or email: theneighborhood@optonline.net.